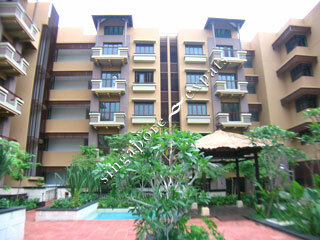 The Cornwall is a Balinese concept resort condominium situated in the prime residential district 10. Cosily tucked away among the prestigious bungalows off Holland Road, The Cornwall is an exclusive low-rise condominium with only 99-units built on prime freehold land. The units in The Cornwall are finished in exquisite and expensive materials ranging from top quality marble tiles in the living, dining, master bathroom, timber flooring in the bedrooms and granite tiles in the common bathroom. The kitchen and bathrooms are both functional and modern too. All the units in The Cornwall either have a balcony, private enclosed space (PES) or a roof terrace. The Cornwall is located only 7 minutes stroll away from the popular Holland Village, where numerous shops, cafes, pubs can be found. It takes about 5 minutes drive to the Orchard Road shopping belt and 15 minutes drive to the Central Business District. Quiet with lots of greenery.